Spain is the ranked third among the countries hit by cyberattacks and the United States and the United Kingdom. Reports suggest that Spanish citizens, business and infrastructure have suffered from over 70,000 cyberattacks by 2015. 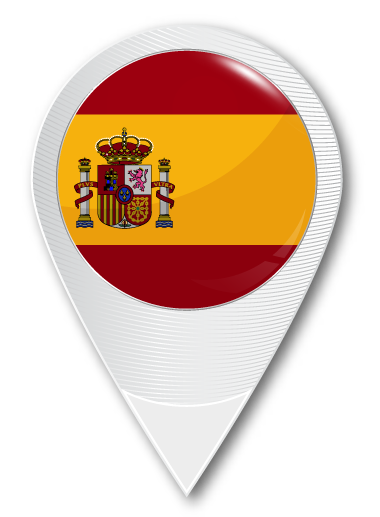 Spain has faced some very critical situations in the space of cyber crime. Spain monitored about 18,000 cyber crime incidents out of which 6,700 were due to unauthorized access into the system, 4,270 frauds and 1,745 due to virus attacks in the year 2014. Out of all reported incidents, the worst came in the year 2014 when an energy company was subject to a distributed denial of service that infected computers with the Trojan virus and crashed the central server. Within a span of three hours, 119 million connections in the server were due to denial of service. With such weak information security infrastructure will only lead of repeated cyber thefts and loss to the country and the affected citizens. Organizations must timely monitor any threat information and intel so as to discover ensuing threats and such can be done with a skilled and trained team that can identify the attack methods and counterattack and trace the target. EC-Council certifications like ethical hacking training Spain base its foundation on this very need of prevention and countermeasure, on implementation of the same hacking tools and methods against the attacker and using techniques for detection. The Certified Ethical Hacking course or CEH Certification Spain is a 21 module course that provides theoretical, practical and hands on experience on the act of a hack. The online ethical hacking, CEH training online, course comprises of tactics that give step by step guide on how to identify, detect, prevent and respond to system vulnerability and incident handling. Ethical Hacking Spain is for all those individuals who want to become cyber-security experts and are concerned with upholding the integrity of the network and data system. Ethical Hacking Online Training builds skills that not only will be crucial at the time of a cyber attack but also the skills required for preventative controls to minimize the impact of a cyber crime and minimize the chances of successful future cyber attack, skills that would be crucial and cover the aspect of detection of a cyber threat in its early stages and removing the system loopholes that would mitigate the effect of such. Certified ethical hacking Spain prepares you for EC-Council Certified Ethical Hacker exam 312-50. EC-Council organizes sessions on various topics of information security pertaining to ethical hacking, pen testing, basic system security, internet security etc across various locations. To find out more about cyber security certification Spain and register for a class at your nearest location, Click here. All courses are available online, at training centers and client-site.